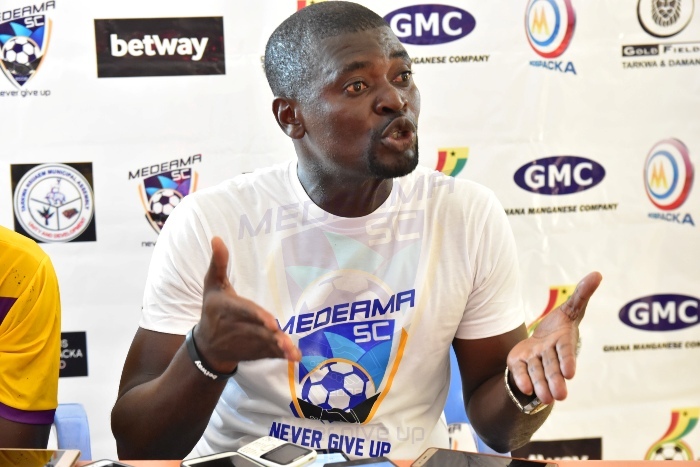 Head Coach of Medeama SC is disappointed with the chances missed in the club’s 2-1 defeat to Berekum Chelsea in the match day 13 of the Zylofon Cash Premier League. 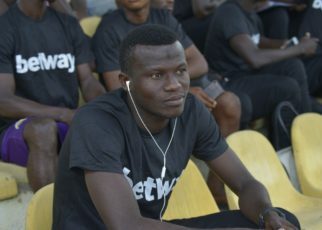 The league leaders were beaten by a resolute Chelsea in Berekum after Latif Salifu and Zachariah Fuseini had scored for the home-side with Agyenim Boateng getting the only goal for the Mauves and Yellows. 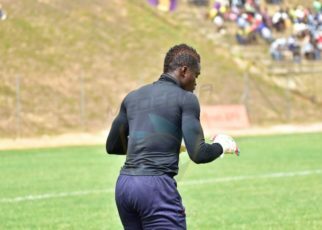 Medeama had several chances to grab an equalizer but they were all wasted leaving Coach Boadu frustrated. “We came in to take all the points but it’s rather unfortunate we could not take our chances and the chances they got they took it and scored two goals,” he said in a post match interview. “We should have done better than this he added,” he added. Meanwhile, there were questions about the performance of the referee on the day following some decisions which went against the club. 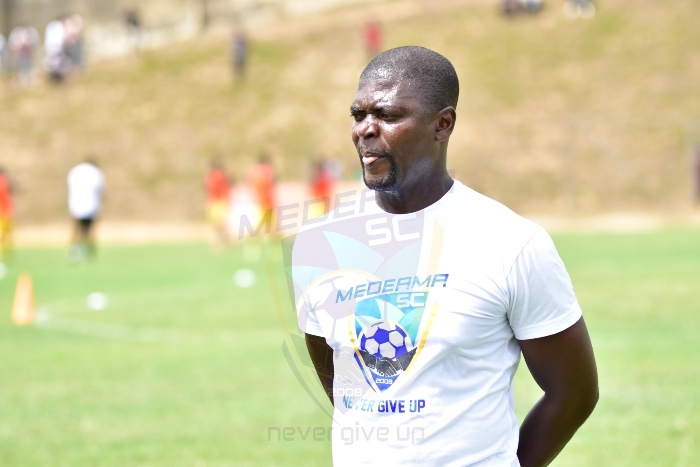 However Samuel Boadu refused to be drawn into that and says he’d rather concentrate on correcting the mistakes from the game. “Being the Coach you definetely want to challenge some of the decisions but with the game over there is nothing to do,” he concluded. Despite the defeat the Tarkwa based club are top of the table with 23 points and will next host Wa All Stars.